"The Gayest Show on Earth!" Hear Ye, Hear Ye, from Burnet Woods to Hoffner park, down the streets of Clifton and all the way to Northside comes "THE GAYEST SHOW ON EARTH." 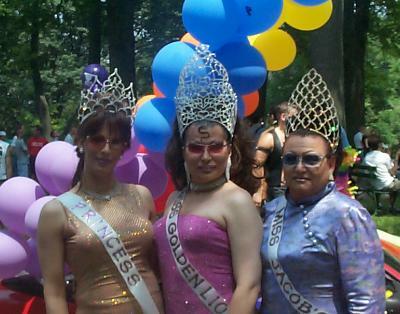 Yes it's this years title for the 2003 Pride Parade, which will be held on June 8th, starting at 12:00 noon. 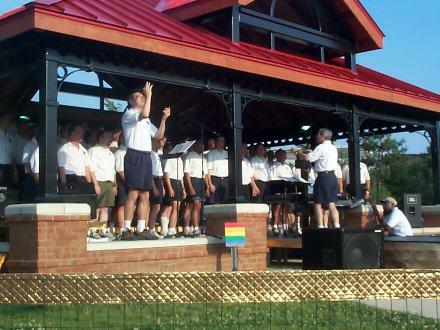 In just a few more months another Pride Day extravaganza, from the GLBT community, will be winding its way to a great festival, filled with lots to eat and drink, and plenty of good music. This years Pride parade will have a Circus theme so start planning what kind of a float that you will have in keeping with this theme. A float you say!! Yes!! This year the committee has decided that pull behind floats are now allowed. This will open up tons of possibilities for your group or organization to see if they can make the best float in this years Pride Parade. The committee will judge which floats are made to perfection and awards will be given to the first, second, and third place winners. So put on those thinking caps and get to work. Our next meeting is scheduled for 12:00 noon February. at the Women.s Resource Center in Northside. All organizations are ask to send a representative to the meeting. Ken Colegrove, Pride Parades long time Organizer has put together an on line Pride News letter and you are invited to become a subscriber. The e-mail address is cincypride-subscribe@yahoogroups.com This years Pride event could just turn out to be the best ever! So come and get involved. I'll be there I hope to see you. Cincinnati Pride Committee needs volunteers with specific skills to assist with this year's Pride Celebration. We are looking for a professional DJ to run the sound at the rally in Burnet Woods as well as provide the pre-rally music. In addition, we are in need of a licensed electrician to assist at the festival in Hoffner Park. If you are interested or know someone who might be, contact us at info@cincypride.com, or call (513) 681-4627. We are pleased to announce that Doreen Cudnik will be Michael Chanak's co-emcee at this year's Pride Rally in Burnet Woods. Doreen is a current board member and former executive director of Stonewall Cincinnati. 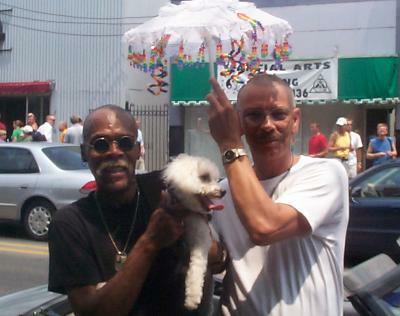 She has been a longtime activist in the GLBT community, and was the former editor of Gay Peoples Chronicle newspaper. In addition Scott Knox has accepted an invitation to speak at the rally, scheduled for noon Sunday June 8 in Burnet Woods immediately preceding this year's Pride Parade. Scott was recently named a top attorney of the year by Lawyers Weekly, and has long been active in GLBT issues. Chris Good, Ken Colegrove, and Dr. John Kelly will join Scott as speakers at the rally. The keynote speaker will be Chris Collier. 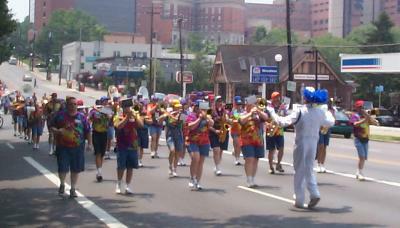 For complete rally information, visit the website at www.cincypride.com . 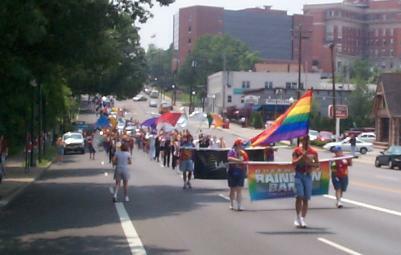 Over 4,000 people attended the Cincinnati GLBT Pride Parade and Music Festival on June 8-9, 2002.